Apparently, Santa brought a few unlucky Canadians lumps of clay over the Holidays. Thanks to a new scam, customers who bought iPads from various retail chains in the country were treated to bags of modeling clay when they opened up their iPad 2 boxes. According to CTV News, the scam artists had bought the Apple tablets with cash, removed the devices from the packaging and then resealed the boxes with modeling clay to replicate the weight of the iPad 2; chargers were also replaced with little wads of clay. The fakes were then returned to retailers and put back on store shelves for trusting customers to stumble across. At least 24 iPad 2 tablets have been swapped, but retail chains are still investigating the matter. Best Buy and Canadian electronics retailer Future Shop both say their Vancouver stores sold up to 10 clay filled iPad boxes. London Drugs has knowledge of at least four cases, and Walmart acknowledged that its stores were also hit by the scam. Apple Canada has confirmed that they are helping with the investigation. The ingenious scam caught the retail stores completely by surprise. Mark Sandhu, the first customer to bring the modeling-clay switch to Future Shop’s attention, was initially treated like a scammer himself. 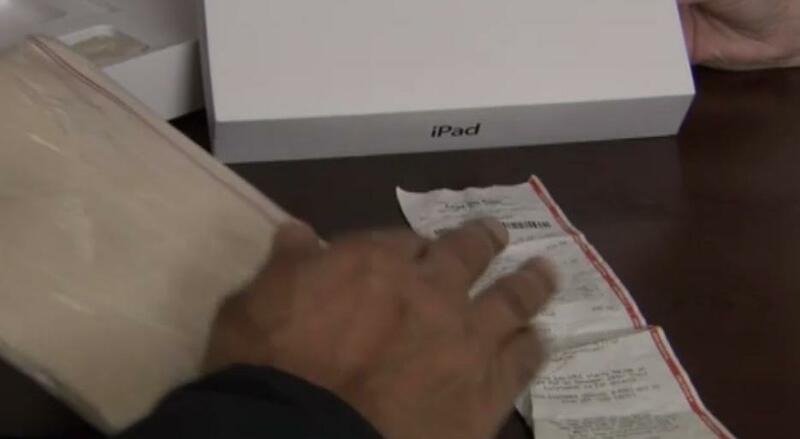 Apple, the local police and Future Shop initially refused to listen to the odd story; however, Future Shop has since apologized, returned Sandhu’s money and given him a new iPad 2 for free. Some of the retailers have changed their return policies, and now break the seal on returned iPads to check the integrity of the contents. There’s no word on whether this is happening in the US, but if you buy an iPad 2 in the coming months it might not be a bad idea to check the box before leaving the store with your new purchase.